Johnson & Johnson has suffered its second costly court defeat in less than three months over claims its talcum powder caused cancer. And many more cases are looming. A jury in St. Louis awarded $55 million in damages to Gloria Ristesund, who used Johnson & Johnson's talcum powder for more than 35 years before being diagnosed with ovarian cancer in 2011. Ristesund's lawyers argued that Johnson & Johnson knew of possible health risks associated with talc, but failed to warn consumers. "Internal documents from J & J show it knew of studies connecting talc use and ovarian cancer but, to this day, it continues to market it as safe -- neglecting any warning," The Onder Law Firm, which represented Ristesund, said in a statement. Johnson & Johnson said it plans to appeal the verdict. 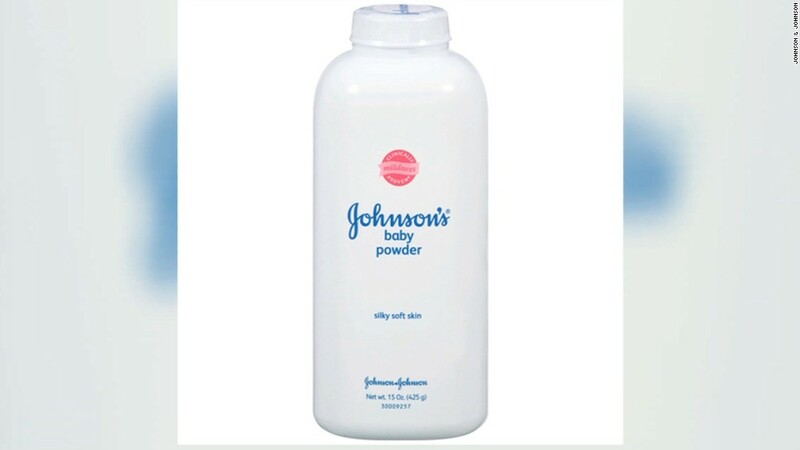 "Multiple scientific and regulatory reviews have determined that talc is safe for use in cosmetic products and the labeling on Johnson's Baby Powder is appropriate," Carol Goodrich, a spokesperson for Johnson & Johnson Consumer, said in a statement. In February, a jury ordered Johnson & Johnson to pay $72 million to the family of Jackie Fox. Fox died of ovarian cancer in 2015. The trials are part of a legal action that includes nearly 50 plaintiffs, suggesting Johnson & Johnson could face additional penalties. Talc is a naturally occurring mineral composed of magnesium, silicon, oxygen and hydrogen. It's used to absorb moisture in many kinds of cosmetic products, from baby powder to make up. -- Dani Stewart and Ivana Kottasova contributed to this report.